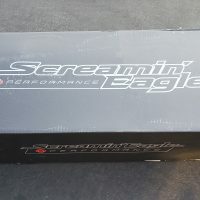 Brand new screaming eagle street cannons I have the shields and both black and chrome tips I paid over 800.00 for everything a month ago. Hit me up they're going to go fast!! Nine one six 995 three seven 5 eight.